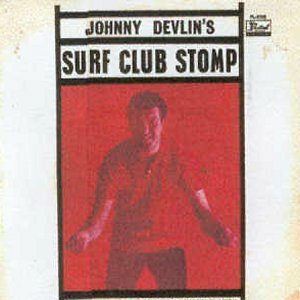 Johnny Devlin was New Zealand's first major rock'n'roll star. He had a major effect on the domestic scene. He was the first musician that parents loved to hate. He was the first performer to be awarded with a gold record. Also the first to go on an extended national tour and the first successful artist to leave the local shores for Australia. Mad hysteria had taken New Zealand by storm in proportions they had never seen before. 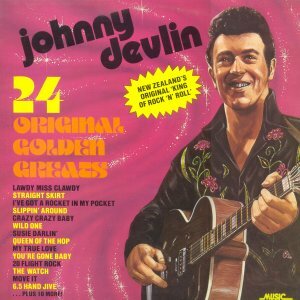 Johnny Devlin was New Zealand's original king of rock'n'roll. John Lockett Devlin was born on May 11, 1938, the son of a railway ganger stationed in the small mid-North Island town of Raetihi. The family soon shifted to near-by Ohakune and then Marton before eventually settling in Wanganui, where John spent his formative years. He received a guitar for his eleventh birthday and it never left his side. His parents and three other brothers were all musically minded and when in his early teens, they formed a group called the Devlin Family. They performed country songs at Wanganui talent quests. The family used to listen to the Lever Hit Parade to get new songs to perform. One night they heard "Rock Around The Clock" and were blown away. 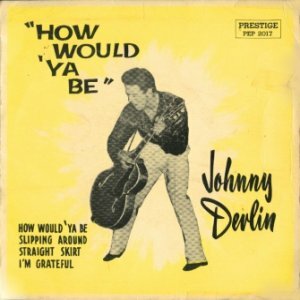 But the song that really influenced Johnny the most, was Elvis's "Heartbreak Hotel". The Devlin Family had been performing regularly until 1955, when the parents retired from the entertainment game. The four brothers, plus the odd friend or cousin, continued to perform as the River City Ramblers, playing country and western, skiffle, and later Bill Haley style rock'n'roll. Throughout 1956, enthusiasm began to ebb, and one by one the brothers dropped out, and more frequently weekends would see Johnny performing as a soloist. By the end of the year, the River City Ramblers were no more. It was then that he heard "Heartbreak Hotel" and his life was changed forever. Devlin entered every amateur talent quest he could find and chasing up every Elvis Presley recording he could lay his hands on, for the next eighteen months he would perform nothing but Presley material. 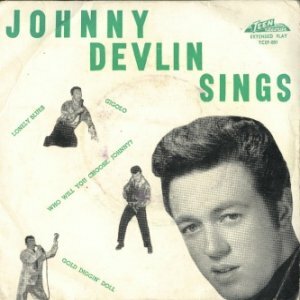 On weekends, Devlin would often go to Palmerston North and whenever he had the chance he would sing his Elvis songs in talent contests run at the youth club there by pioneering New Zealand rock'n'roller Johnny Cooper. The first to recognise a certain something in Devlin, Johnny Cooper took him under his wing, coached him in the art of stagecraft and persuaded him to practice his moves in front of a mirror. He said to Devlin, with a bit of work, you could become New Zealand's Elvis Presley. So in February 1957, an 18 year old bank clerk from Wanganui, won his first talent quest as a rock'n'roll performer. Over the next four months, he gyrated, jumped, grimaced and growled at quests in the towns near by. He didn't win them all, but the younger members of the audience knew who the night's star was. One weekend in Palmerston North he met Dennis Tristram, a rock'n'roll dancer, who tried to persuade Devlin to move to Auckland. Devlin was happy to stay where he was, but did run into Tristram again, a month or so later, when he was in Auckland. Dennis persuaded Johnny to come down to the Jive Centre and sing with the resident band. The owner, Dave Dunningham, gave him an audition and agreed to let him do a set that night. 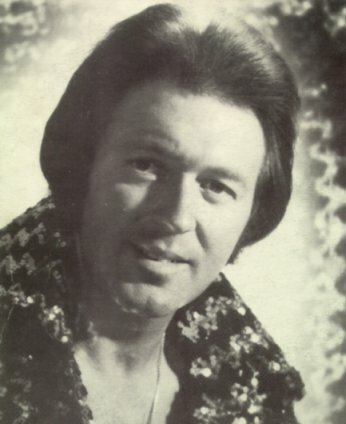 Johnny Devlin's debut at the Jive Centre featured an all-Presley repertoire and although there was a general buzz in the audience before he commenced, no-one was prepared for what was to follow. By the time he completed his set, girls were screaming and everyone else was in awe and disbelief. Dave Dunningham was impressed and offered him a regular spot. Back in Wanganui he thought it over and a month later, March 1958, he returned to Auckland. Dave Dunningham became his manager and within a month he had made Johnny Devlin the talk of the town With Auckland conquered, Dunningham realised that the quickest way to break Devlin nationally was with a record release, but all the record companies in the country gave the thumbs down. They were very nervous about this type of music. Phil Warren, a part-time drummer, began working at Begg's Music Store in 1955, and later formed Prestige Records, primarily to distribute overseas releases from independent labels. 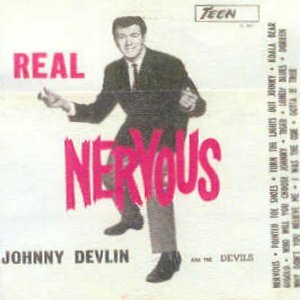 Dunningham pressured Warren into recording Devlin, so they came to an agreement and selected a poor-selling Presley release, "Lawdy Miss Clawdy" for the debut single. It was recorded at the Jive Centre one Sunday afternoon in May 1958, using the Dixielanders as the backing group, and given the primitive circumstances of the session and surroundings, the quality was awful, but "Lawdy Miss Clawdy" launched Johnny Devlin as New Zealand's first superstar when it was released in June 1958 on the Prestige label. Recorded at the same session was the flipside, "When My Blue Moon Turns To Gold Again". A romping sax break replaces the guitar on Elvis's version. Although the single got very little airplay, the broadcast panel thought it was not of sufficient quality, it was snapped up by Auckland's teens in an unprecedented frenzy. Once sales had topped the 2000 mark, the radio stations could no longer ignore it, and within a few weeks the disc was at the top of the Lever Hit Parade. By now the Dixielanders were out of the picture and Johnny was working with the Bob Paris Combo as his back-up band. Devlin was now in great demand and by August, his record sales had passed the 10,000 mark. Time to record more records. With this he entered Bruce Barton's Wellesley Street studio for his second recording session. Between August and October Devlin recorded a dozen tracks, to be released as Phil Warren saw fit. The Bob Paris Combo were used as backing on all of these tracks. Warren was receiving little-known records from American artists for distribution by his record company, but selected a few to give to Devlin to record. His second single was a cover of both sides of a Jimmy Lloyd record, "I Got A Rocket In My Pocket"/"You're Gone Baby". 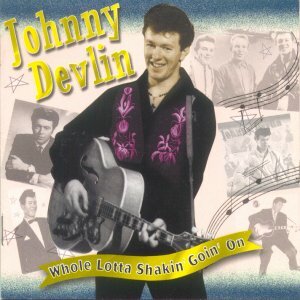 An excellent recording, it unfortunately received little airplay and sold only moderately well, but within a fortnight Devlin's third single appeared. "Slipping Around"/"Straight Skirt" sold a lot better and without the Presley influence, it demonstrated that New Zealand could produce credible rock'n'roll. By November 1958, his three singles had sold 50,000 copies. Between November 1958 and May 1959, Prestige released eight further singles, plus three EP's and an album, amassing total sales in excess of 200,000. Graham Dent was an employee of the Kerridge Organisation which operated a string of theatres and cinemas throughout the country. Dent had been responsible for making the "Rock Around The Clock" movie successful in the cinemas. He was promoted to manage a new cinema in the Auckland suburb of Point Chevalier. On Sunday afternoons he ran concerts for the local youth club and talent quests. Recognising Devlin's potential, he organised a concert there. With its success he approached his boss, Robert Kerridge, about the possibility of using their theatre chain to promote a national tour. After some initial doubt, his boss agreed to a two-week tour with extensions if successful. Dave Dunningham left the management to Phil Warren, so Phil and Graham put together a schedule. Bob Paris and his band weren't keen on going on the road, so a new backing band had to be put together. Dent asked multi-instrumentalist Claude Papesch if he could put a band together. Claude was a sixteen year old blind musician, who was a regular at the Point Chevalier youth club. Papesch recruited guitarist Peter Bazely, bassist Keith Graham and drummer Tony Hopkins. 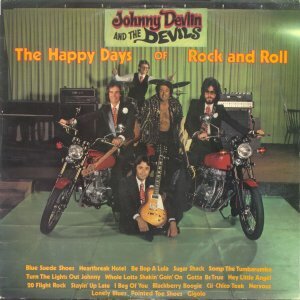 Together they became the Devils, one of New Zealand's first truly rock'n'roll bands. The tour kicked of at Wellington on November 21, 1958. Over the next two weeks he performed for close to 20,000 ecstatic fans in Wellington, Palmerston North, Masterton, Napier, Gisbourne and Tauranga. The press raved and chaos broke out at every performance. The shows exceeded everyone's expectations, with New Zealand having never seen anything remotely like it. Back in Auckland, another two-week tour was being organised, but before setting out, Devlin was rushed back into the studio, where in one night he recorded sixteen more tracks. In late November his fourth single, recorded earlier in the year, was released. It was "6.5 Hand Jive"/"Play Rough". In December, five more records were released, three singles and two EP's. The singles were "Wild One"/"The Watch", "Crazy Baby Crazy"/"My True Love", and "Bony Moronie"/"Leroy". The first EP was a freebie called "Hit Tunes" put out by Coca-Cola, who had been part sponsoring his tour. It contained the tracks "Cast Iron Arm", "Nervous", "Say Yeah", "Matador Baby", "Believe Me" and "Rave On". The other EP was called "How Would Ya Be?" and contained "Straight Skirt", "How Would Ya Be", "Slipping Around" and "I'm Grateful". Devlin set off on the second leg of his tour and the media followed him wherever he went. He was constantly making headlines. After his shows he was mobbed by screaming girls and on one occasion lost sleeves from his shirt. This was big news with headlines claiming "Girls Fight Over Singer's Shirt" and from then on a piece of his shirt was every girls aim. By the end of 1958, Devlin had conquered the North Island, but was still relatively unknown in the South Island. A tour down there was going to be a challenge as there was a local lad in Christchurch who was also attracting attention. He was Max Merritt and the Meteors. His fans were fiercely loyal and the bookings for the Christchurch show were light. Dent was going to cancel the show, but came up with an idea. He invited MP and Cabinet Minister Mabel Howard to a champagne party followed by the Devlin show, and after the pair would be driven off to meet up with Max Merritt. A pink convertible was used and of course the press were there, along with the usual mob of screaming fans. A stroke of genius and from there on the South Island was bedlam. 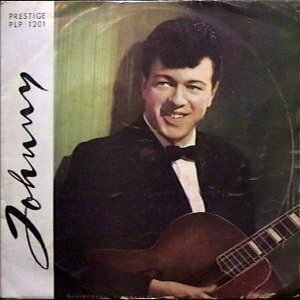 By February 1959, Johnny Devlin's record sales had reached astronomical proportions. A new single was released, "20 Flight Rock"/"Move It" and another EP called "Johnny Sings Ballads". Its tracks were "Love Me", "I'm Counting On You", "Susie Darling" and "When My Mother Prayed For Me". Devlin's original recording of "Lawdy Miss Clawdy" had sold steadily since its mid-1958 release. With sales in excess of 30,000 and orders for another 10,000 after his South Island tour, it was decided to re-record the song under better conditions. The new version was released in February 1959 and well and truly out sold the original version, two to one, with combined sales exceeding 100,000. "Susie Darling" was placed on the flipside of the new version. In the next two months, two more singles and another EP were released. The first was "Nervous Wreck"/"Queen Of The Hop" and the second a tribute to his backing band "Rock With The Devils" backed with "Devil's Rock", an instrumental by the Devils. 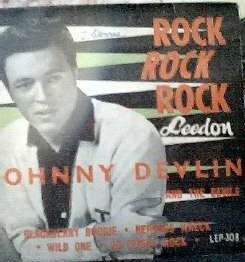 The EP was just called "Johnny Devlin" and contained "High Heeled Shoes", "Hard To Get", "Big Green Car" and "Your Cheatin' Heart". In March 1959, Devlin left on what was to be his final tour of the country. He took in the smaller centres that hadn't experienced the Devlin hysteria and madness. It was same old story wherever he went, but inside the show, things were starting to fall apart. There was internal bickering, and being mobbed and screamed at was no longer a novelty. The whole touring thing was becoming a bore. The only remaining highlight came when in Wellington, he met the touring evangelist Billy Graham and the Prime Minister Walter Nash. A picture of the three of them appeared in the following days newspaper. A week later, having had enough of the goings-on, Robert Kerridge pulled the plug on the tour. With his career in temporary limbo, Devlin returned home to Wanganui to celebrate his 21st birthday. Meanwhile, Phil Warren received a phone call from Sydney-based American promoter, Lee Gordon, who was in the process of organising an Australasian tour for the Everley Brothers. He wanted to know if Phil could handle the New Zealand leg. Phil agreed on the condition that Johnny Devlin be placed on the bill for the Australian concerts. They agreed and with no fuss, fanfare or farewell concert, Johnny Devlin and the Devils slipped out of New Zealand in the last week of May 1959. Although he was moderately successful in Australia, his reign as a social phenomenon was over. It had lasted a mere twelve months. 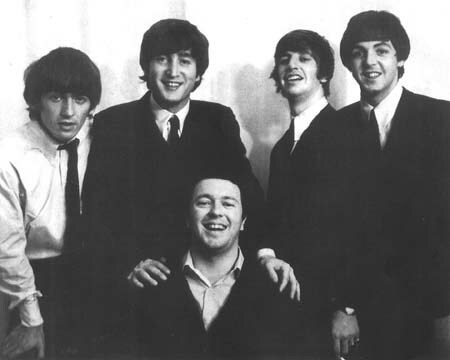 Johnny Devlin with the Beatles on their New Zealand tour. Another EP, also called "Johnny Devlin" was released, containing "Flat 13", "Queen Of The Hop", "I Was Robbed" and "Patty". The last two Prestige singles also came out. They were "White Lightening"/"Doreen" and "I Was The One"/"Pointed Toe Shoes". Prestige also released an album called "Johnny" in 1959. Devlin continued to record while in Australia. Between 1959 and 1981, while using at least 14 different record labels, he released a further 40 singles, ten EP's and three albums. Music World released a an album called "24 Original Golden Greats" in 1980 that contained all of his New Zealand singles. Johnny Devlin still continues to perform on the club level in Australia. Of the original Devils, only Claude Papesch dedicated his life to music. Widely traveled around Australasia, he eventually settled in NSW, working more in the jazz field than the rock'n'roll which launched him. Battling cancer during the last years of his life, he served time on the Lithgow City Council and was elected Mayor of Lithgow in 1984 but due to ill health was unable to complete his term. Claude died, aged 45, in February 1987. Keith Graham went on to play with the Embers. Festival released two great CDs that cover pretty much all of Johnny's work. The first in 1998 covers his Australian years, while the second, released in 2001, was a compilation of his New Zealand Prestige years.